Have you ever lost your keys or your remote to the TV and spend way too much time looking for them? I’m going to assume yes because I know I’ve lost my share of things and not just once, but multiple times. Searching for these items usually involves turning a room upside down and like the saying goes, it’s always in the last place you search, which could be anywhere from half an hour later to days later. What if I told you there was a simple little device you could attach to your commonly lost items that would help you find them in seconds? The TrackR is just such a device and will help you find your lost items instantly with the help of a small companion app on your smartphone. The model I’m taking a look at is the TrackR Bravo which can be used either as a key chain or can be stuck onto other objects via the included double sided tape. The TrackR Bravo is a tiny, coin sized device that is equipped with Bluetooth technology. It uses a “watch” battery so it never needs recharging and should last quite a while before it needs to be replaced. Other notable specs include a distance locator (up to 100 ft), an item ringer, separation alert, phone finder, and Crowd GPS. Setup is a simple process. 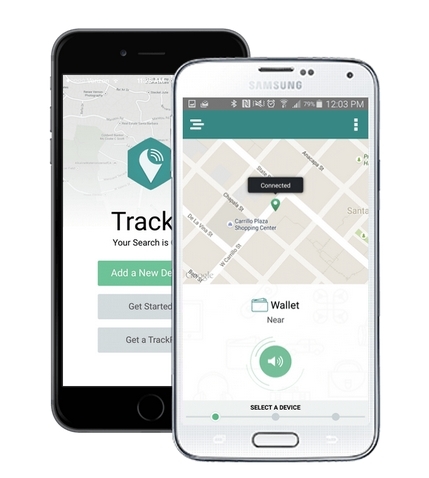 Download the TrackR app (iOS, Android) and sync your TrackR unit to your smartphone. All it requires is a push of the button on the TrackR unit and you’ll be all set. You can even name your various TrackR tagged items to identify them in the app. If you sign up for a free TrackR account, you can also make use of Crowd GPS which supposedly can locate your TrackR equipped items if they are out of Bluetooth range, but within range of another TrackR user. This is a feature I have yet to really try out because there just aren’t other TrackR users in my area at the moment. Once your TrackR unit is paired to your smartphone, all it takes is a touch of a button in the app for your TrackR unit to broadcast a high pitched alert. There’s even a handy little map that shows an approximation of here it is as well as the estimated distance between you and your TrackR. The TrackR even works in reverse so if you misplaced your phone somewhere and need to find it, just press the button on your TrackR unit and your smartphone will play an audible alert, even if it was set on silent. The only limitation to this however is that the TrackR app need to be running in the background. Lastly, the separation alert feature is of interest for those who leave their keys or phones behind far too often. Let’s say you’re at the office and you leave your phone behind. Your TrackR on your keys for instance would let out an audible alert letting you know that you forgot something. Same goes in reverse if you left your keys. There are probably people out there that would never need a TrackR, but I’m also sure there are those who do need one. I’m not usually one to forget my things but I know my wife is and this would be a perfect little gadget for her. She often leaves her iPhone behind on her way out of the house meaning the separation alert feature would be perfect. She would probably also make great use of it to find her misplaced iPhone as this is something she also does quite often. 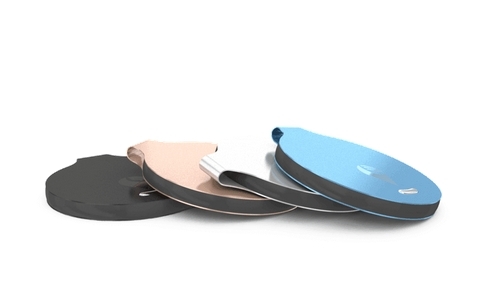 TrackR Bravo is available in four different colors at a price of about $30 per unit. You can also buy them in bundles which brings the cost down per unit. You can even have them engraved for that extra personal touch. This review is made possible with my affiliation with G Style Magazine. These items were sent to us by the company or their PR reps for review and evaluation. It is also featured at the G Style Magazine website which is a tech blog that focuses on the fashion aspect of tech. Please visit their site for the complete review and more images.